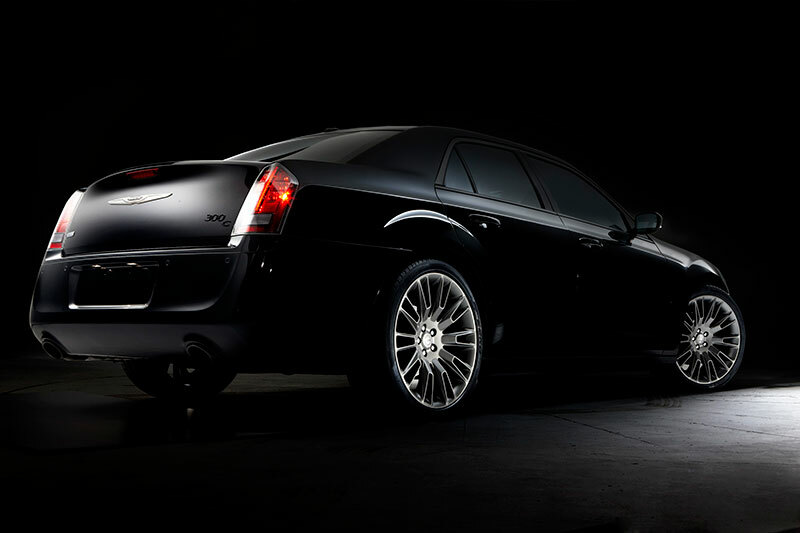 With its unique Phantom Black tri-coat exterior paint and discrete metallic finishes inside and out, the limited-production Chrysler 300C John Varvatos Limited Edition returns, exuding its Detroit-tough attitude. Styled after the black with Titanium-finished John Varvatos’ cologne bottle, a Titanium-finished grille surround, Titanium Chrome Chrysler “wing” badge and Black Chrome grille blades mimic the foundries that made Motor City flourish. For a more striking look, an aggressively styled front fascia integrates larger air inlets and features Black Chrome grille blades and Titanium-finished accents. 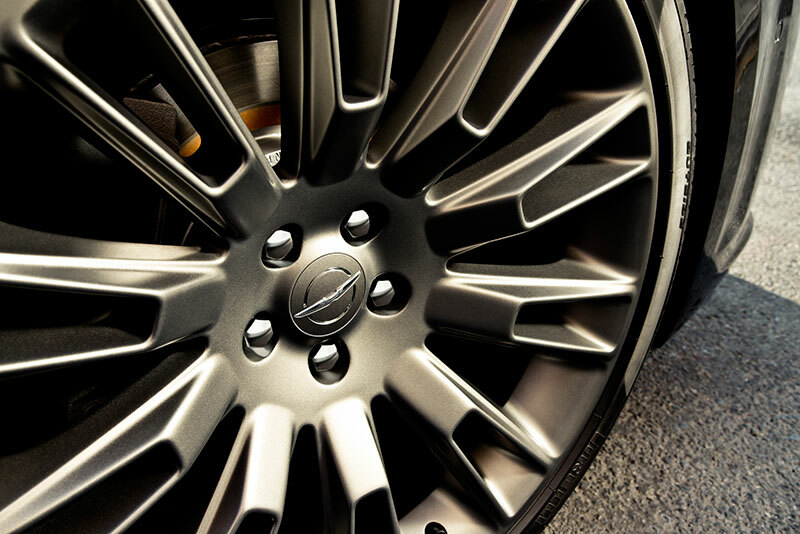 Matching the cologne bottle finish are 20-inch cast-aluminum wheels [19-inch with all-wheel drive (AWD)], day light opening surrounds and mirror caps finished in Titanium. At the rear, LED taillamps with blackened detail give a more masculine look, while dual-exhaust tips in titanium, and John Varvatos and Chrysler wing deck-lid badges finished in Titanium Chrome complete the look. Delivering John Varvatos’ signature style through a unique combination of dark colors and exotic materials, the Chrysler 300C John Varvatos Limited Edition surrounds its passengers with craftsmanship and an industrious style that could only be “Imported from Detroit.” Inside, John Varvatos’ logos are proudly debossed on unique Pewter Metallic leather seats and are tailored with unique Diesel Gray and black pattern Varvatos stitching – for a look that is straight out of his fitted-jacket collection. Translated from John Varvatos’ latest watch design are a specially designed gauge cluster and clock with Pearlescent White face and Charcoal Black Metallic bezels. Extensive use of exotic Poltrona Frau® black leather with Diesel Gray accent stitching surrounds the bespoke environment, while a hand-stitched heated steering wheel is finished with Diesel Gray thread and Titanium Chrome accents for added detail. Completing the Chrysler 300C Varvatos Limited Edition’s interior are Titanium, unique Charcoal Hydrographic Wood and Gloss Black finished interior accents. 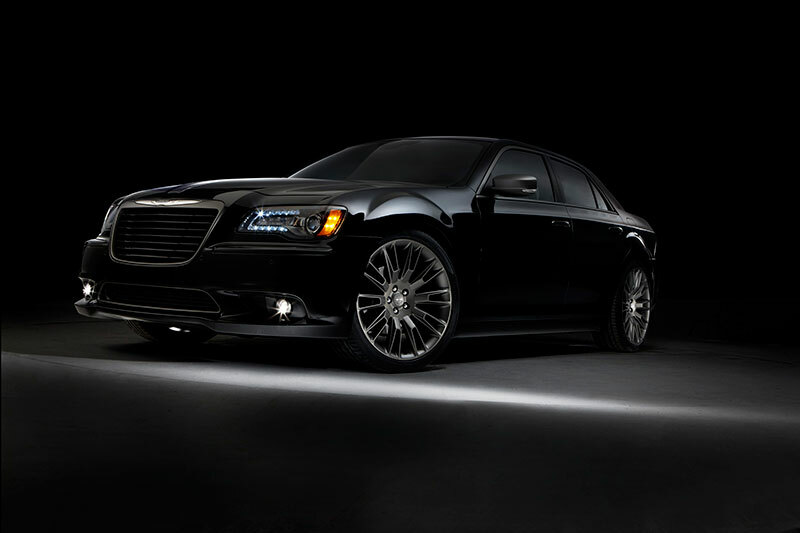 The 2014 Chrysler 300C John Varvatos Limited Edition has a Manufacturer’s Suggested Retail Price of $44,480, while the new AWD model starts at $46,980 (excluding $995 destination). With the aluminum 3.6-liter Pentastar V-6 engine delivering 292 horsepower, or legendary 5.7-liter HEMI® V-8 engine with 363 horsepower with four-cylinder mode Fuel Saver Technology – the Chrysler 300C John Varvatos Limited Edition with intelligent AWD features a segment-exclusive active transfer case and front-axle-disconnect system. No other major automotive manufacturer offers the combination of these two independent technologies. Chrysler 300’s innovative AWD system seamlessly transitions between rear-wheel drive and AWD with no driver intervention. When AWD is not required, the system automatically disconnects the front axle to maximize fuel economy while still providing the outstanding fun-to-drive performance and handling inherent in rear-wheel-drive vehicles. 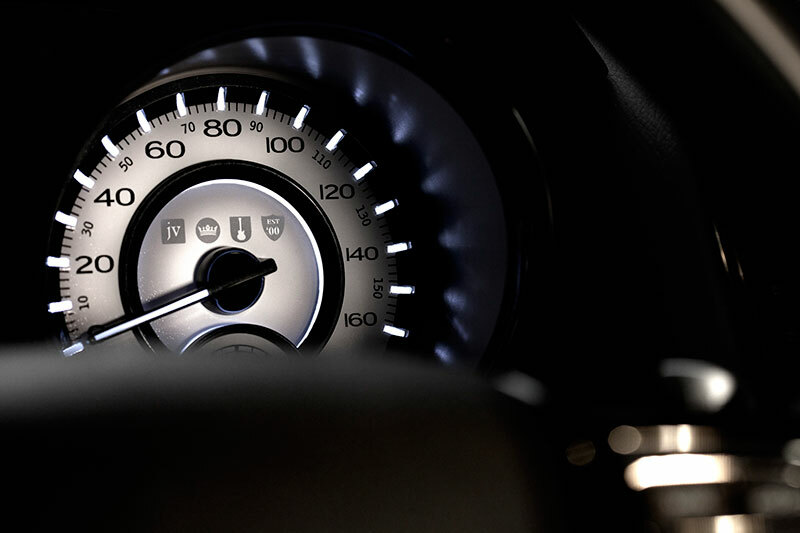 Additionally, quicker shifts are possible on the 300C John Varvatos Limited Edition as a result of a “Sport” shift mode that requires simple driver input. When the driver chooses to let the transmission shift in “Sport” mode, gear changes are quicker and revs are held higher for even more performance-oriented acceleration and higher shift dynamics. For even more control, the driver can also use a pair of die-cast, steering-wheel mounted paddle controls and view gear selection in the instrument cluster.